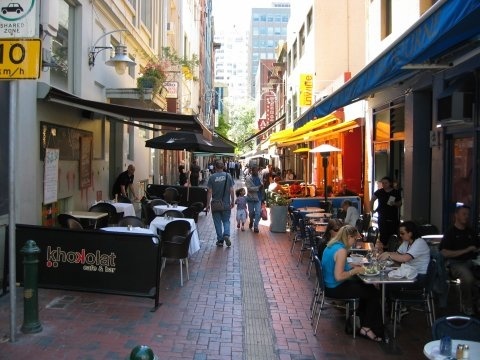 My first confession is that this image is not actually in Hardware Lane, which runs parallel to Elizabeth Street (between Queen and Elizabeth Streets) starting at Bourke Street and going through to Lonsdale. Between Lonsdale and Little Lonsdale, it becomes Hardware Street, even though it’s shorter than the Lane. The paved Lane between Little Bourke and Lonsdale Streets is closed to traffic, because it’s full of outdoor seating for cafes and restaurants. At one end, a nightclub called Khokolat has operated out of a basement premises at #43 since at least 2005. 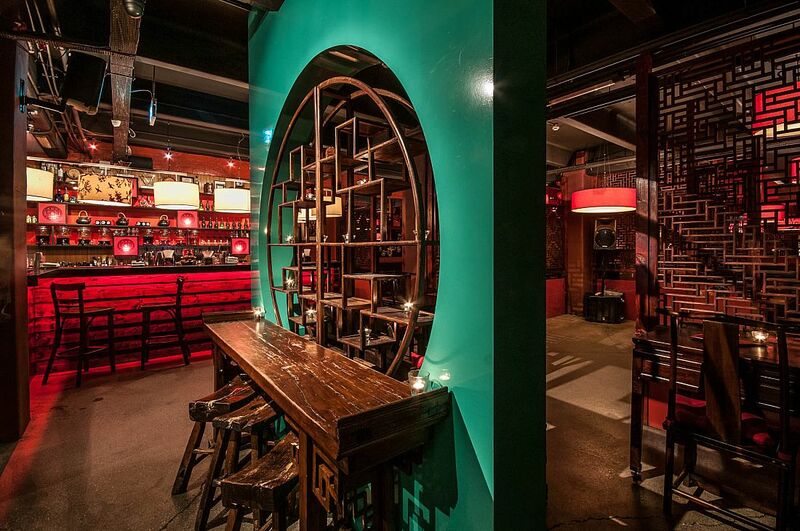 At the other end, The Golden Monkey – another downstairs bar, decorated 1920s Shanghai style and named for the a statuette in Indiana Jones and the Temple of Doom – is at the other. It opened in around 2007. These days, Khokolat and a costume shop are opposite the most excellent Kirk’s Wine Bar, but in 2009 it was just one of several more generic cafes on the street. It’s great for me that both those places were operating in 2009, when Number One Fan is set. But that doesn’t explain the photo above. That, my friends, is a promo photo (taken on Niagara Lane I think) for Hardware Lane Costumes, located on the first floor of 43 Hardware Lane. That puts it above Khokolat and, for my purposes, right next to an invented office where Frank and Milo have, in 2009, just set up a little space to manage business and answer fan mail. How will I be using these locations in the story? I’m not entirely sure yet, but if I don’t get one of those boys into a princess costume at one point, I don’t even know myself. In the meantime, with both Hardware Lane and Hardware Street postively lush with excellent cafes like Kirks, Hash, The Hardware Societe and La Petite Creperie, I’ll have somewhere pleasant to sit and plot to my heart’s content. My Patreon supporters are helping to fund the writing and production of the Duo Ex Machina series. 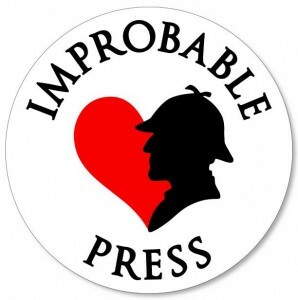 Number One Fan will be the third book in the series, and a brand new addition to it! 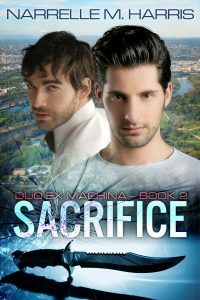 My novella Sacrifice (second in the Duo Ex Machina series) has been edited for reissue, and is presently being published every fortnight on my Patreon for my ‘Backstage Pass’ supporters. Willsin Rowe has already done a fabulous cover for it, and I couldn’t wait to share it, so here it is! That’s Frank looking messy on the left, and Milo being all pretty and well coiffed on the right. The last chapter of Sacrifice will go up on my Patreon in around July, and then the new version of the ebook will be made available to all my supporters, and a week or so after that it’ll be generally available. Or support my Patreon and get Fly By Night (and other upcoming novellas and collections) as a welcome gift!